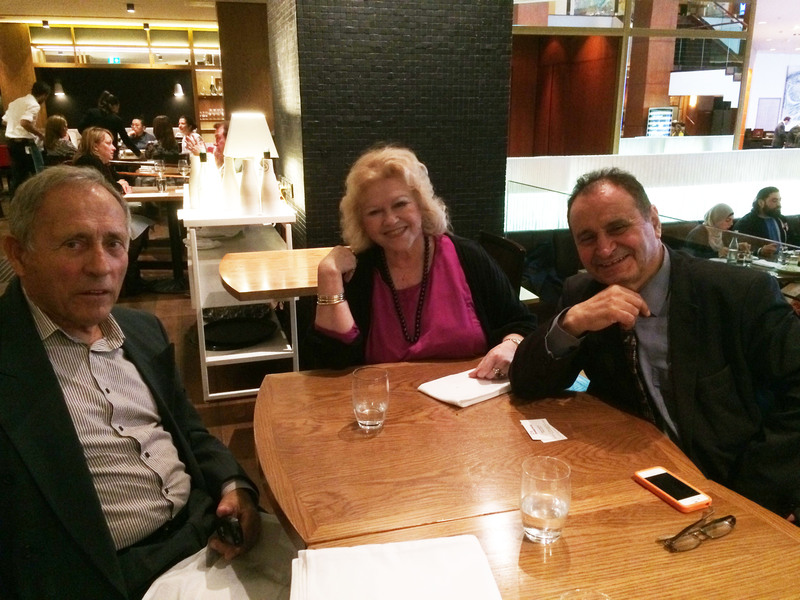 An interview by Ina Vukic with Dr Andrew Theophanous, a former member of Australian parliament for 21 years, whose ardent support for the international recognition of Croatian independence was of key importance during the early 1990’s. 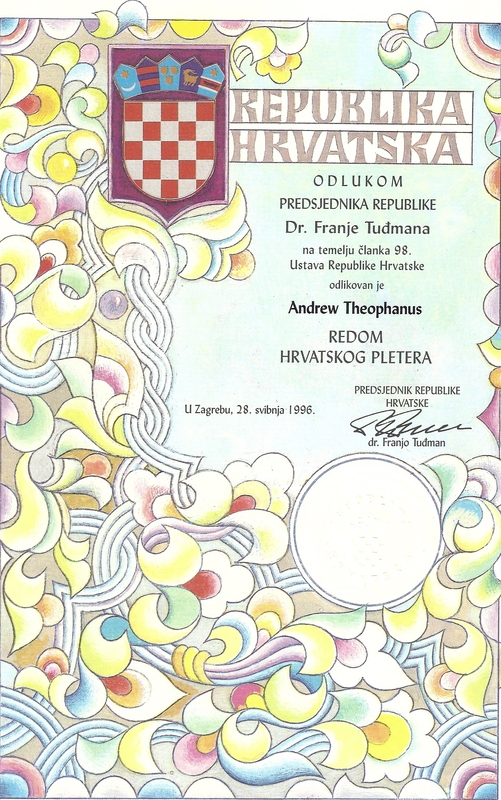 In 1996 Croatia’s president Dr Franjo Tudjman awarded Dr Theophanous with a Medal of Honor – the Order of the Croatian Interlace, an award bestowed upon foreign and domestic nationals for their distinguished contribution to the development and reputation of the Republic of Croatia and the welfare of her citizens. This year, 2016, will mark 25 years since Croatia declared on 25 June 1991 independence from former Socialist Federative Republic of Yugoslavia and in the eyes of Australian Croatians you stood as one of Australian heroes and champions that supported Croatia’s plight for secession from communist Yugoslavia. Could you tell us what were some of your main political and moral beliefs that led you to actively support and lobby for independence of Croatia as a Member of Australian Parliament at the time? In my federal electorate of Calwell, there were many Croatian people. In the years before 1991, I became quite close to the Croatian community and recognized their concern for an independent country – given their cultural differences with the other states of former Yugoslavia. At that time, Croatian identity was not approved of in Australia; notwithstanding this, I supported funding for Croatian programs. I came under criticism because there had been a smear over the very idea of Croatian identity. I have always been a supporter of freedom and the right of different cultural groups to have significant and meaningful levels of self-determination. Naturally enough as events unfolded in former Yugoslavia, it became clear that the movement for Croatian independence needed support within parliamentary circles. So together with several colleagues in both the Labor party and the Liberal party, we formed the Parliamentary Group in order to support this claim for independence. WE did this while, at the same time, sticking within the rules of parliamentary procedure. We were prepared to undertake various activities to promote this cause and we certainly did. I must say though that, when we began this, I never realized the enormity of the task facing us, the problems we would encounter and the exciting events that would follow. In August 1991 you were a member of a group of Members of Australian Parliament who formed the “Federal Parliamentarians For Croatia and Slovenia” Friendship Group. While your book “Understanding Multiculturalism and Australian Identity”, first published in 1995 by Elikia Books, speaks of pathways to Australia recognizing Croatia and Slovenia as independent states could you summarise the circumstances and central aims for the formation of this group within the Australian Parliament? Actually I was the founding Chairman of the Parliamentary Group for Croatia and Slovenia. In 1991, events in former Yugoslavia were becoming very dramatic. The Croatian community had approached me about the importance of doing something to promote the cause of Croatian independence within parliament. Together with the secretary of the Group, Mr Paul Filing (who was a Liberal MP), we decided around that time to form the Group and we encouraged MPs and Senators to join and a significant number did so. However there also was a lot of reticence by many MPs because of the smears that had been made for years against the Croatian community. As Chairman of the Group, I myself came under very heavy criticism from some MPs who were ferociously opposed to the idea of Croatian independence. Nevertheless we persisted and we began making representations, collecting information and building links with the Croatian community. It was because of my position as Chairman of the Group and the impact we were having in parliament that there followed a dramatic series of events. This began in June 1991, when Croatian community leaders Antun Babic and Tom Bosnjak came to my electoral office in Melbourne and presented me with an official letter from President Tudjman inviting me to visit Croatia to see the situation for myself and to express support for the Croatian people. This was at the time when Croatia was being bombed by the Yugoslav forces and the situation was quite dangerous. Nevertheless I undertook that trip and I was the first MP from the West to make such a visit. I had important meetings with President Tudjman and other key members of the Croatian Government. Many other dramatic events occurred after that. I remained as Chairman of the Parliamentary Group until March 1993 when I became Parliamentary Secretary to Prime Minister Paul Keating and therefore member of the executive government – when I was no longer eligible to hold the post. However, as you are aware, I continued as a very active member of the Group for many years after that – Indeed until I left parliament in 2001. In your book “Understanding Multiculturalism and Australian Identity”, you refer to the conflicts in Croatia and Bosnia and Herzegovina and the lobby of the Croatian community in Australia and how as war-related events unraveled there the “Australian foreign policy was increasingly directed towards giving greater priority to events in that region.” How did you personally, as Member of the Australian Parliament experience any lobbying that may have come your way at the time from the Australian Croatian community? As I have indicated, my personal experience in relation to the submissions and lobbying of the Australian Croatian community resulted in a dramatic series of events – beginning with my visit to Croatia during the war in June 1991. I remember very clearly that night when we entered Zagreb ; the whole city was completely dark and all you could hear was distant bombing from the Yugoslav forces. It was a very eerie situation. Notwithstanding the dangerous circumstances, I was very warmly received by President Tudjman and several key officials including Dr Zdravko Tomac Deputy Premier of Croatia, Mr Stipe Mesic, Dr Zarko Domijan, President of the Parliament of Croatia, and Dr Zvonimir Separovic, Foreign Minister of Croatia. “Dr Tudjman said that he was very disappointed by the response of the world community to the cries of Croatia for independence and self-determination. The cries of independence for other Republics, such as the Baltic States, had been recognised. A referendum had been made by the people of Croatia and over 90 percent of the people had expressed their desire to be a separate state. Notwithstanding all of that, he had proceeded cautiously -preferring to discuss the issues over and over, rather than to move hastily and to be provocative. Unfortunately, all that these delays and his response had done, according to the President, was to give time for the Serbian held armed forces to move effectively in their attempts to seize territory and create the Greater Serbia. Dr Tudjman was very disappointed with the failure of the Europeans to come to a coherent view and to move to either achieve some kind of peacekeeping force or to recognise the Republics of Slovenia and Croatia, and thereby give them the chance to defend themselves from what he perceived to be the outside attack of the Yugoslav armed forces. The President enumerated many of the recent incidents – which other people I had spoken to had also enumerated. In particular, he had serious concerns about the attempts to take the war to civilian population, through shelling of villages. Dr Tudjman also reiterated that Croatia was ready – as part of the package for its recognition – to give full commitment by legislative, constitutional and in terms of the administration, to the protection of the human rights of the Serbian minority. He denied the claims that had been put about by President Milosevic of Serbia that the Serbians had been attacked or provoked in any way in the current crisis”. 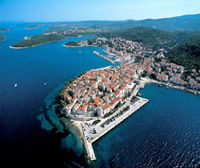 Further developments took place in Croatia in the next 18 months. During that time, I visited Croatia on two more occasions and had the honour of meeting President Tudjman again on those occasions. I reported all these meetings to the Australian Government and to major rallies of Croatian people in Melbourne, Sydney, Canberra and other places in Australia. These rallies were very important because in this way , we brought increasing pressure for the recognition of Croatia. Australia was one of the first non-European countries to recognise Croatia as a sovereign and independent state on 16 January 1992, and indeed, I recall your announcement of the fact at a gala function held by the Croatian community at the Regent Hotel Sydney the same evening. Could you please share with us any conversation you may have had with the Australian Prime Minister on that day? Prime Minister Keating rang me at 5 am in that morning; the decision had been taken very late in the night by the Cabinet. I was probably the first person outside of the Cabinet in Australia to know what had happened . Prime Minister Keating knew of, and respected, my interest and dedication to this cause. He wanted me to be able to convey this news to the Croatian community. I immediately rang the President of the Croatian Federation and several other major Croatian community leaders to tell of the news. I was very happy to be able to announce the news at the function. This was a remarkable achievement of the Croatian community and the Parliamentary Group. It should be remembered that there was considerable opposition within parliament to this step taken by the Keating government. This is because there was still the idea in the foreign ministries of Australia and of the United States that they should still attempt to keep Yugoslavia together – rather than to recognize the march of history and the necessity for the Croatian people to have their independence. As it was the Parliamentary Group and the Croatian community in Australia were extremely happy. We certainly celebrated that night in Sydney. Croatian immigrants have settled well, contributed notably to and assimilated into the Australian multicultural life, how valuable for this assimilation to occur do you think Australian government’s multicultural policy has been? There is no doubt the Australian Multicultural policy has played a major role in the integration of the Croatian community into Australian society. As you are aware, I played a very active role in promoting the correct understanding of the philosophy and practice – especially through the book that you have referred to in your earlier questions. 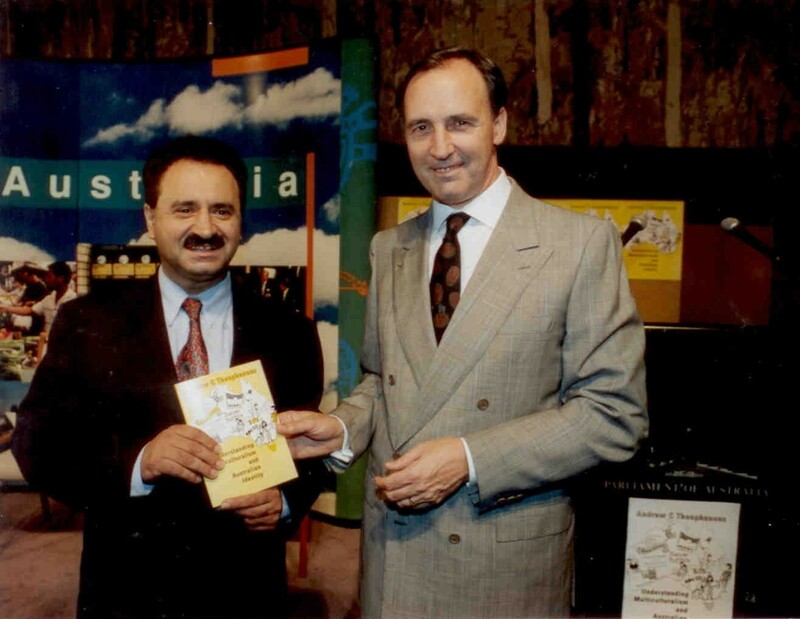 This book was officially launched by Prime Minister Keating in December 1995. I believe the Croatian community has been a very good example of how multiculturalism should proceed in this nation. The key features of multicultural philosophy are present in their approach. On the one hand, we need to respect the foundations of Australian society – including our laws and our democratic processes. On the other hand, we also need to provide the facility for people of different cultural backgrounds to express and retain their cultural traditions. 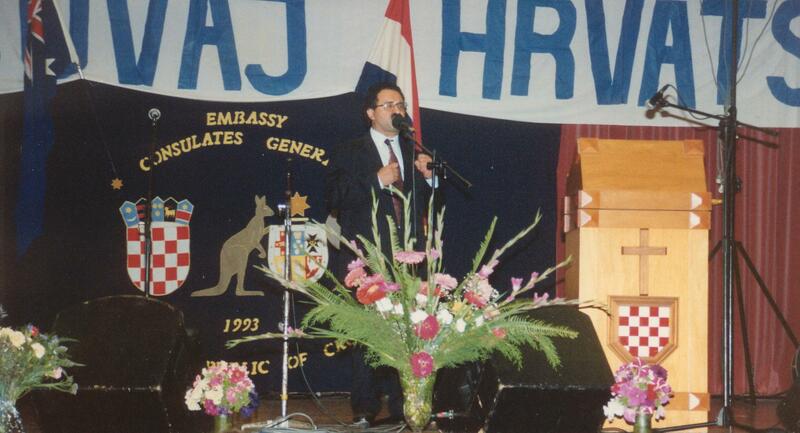 The generation of Croatian Australians who fought for independence also put into place many programs and activities to retain the presence of Croatian culture within the Australian multicultural society. It is now important for the younger generation to continue this work and this tradition. At the time of the conflict in Croatia, as Member of Parliament for Calwell, you were also a member of the Australian Parliament’s Joint Standing Committee on Migration and you instigated some initiatives at the time in the humanitarian field for refugees and displaced persons who, in their hundreds of thousands, found themselves in Croatia in dire needs for assistance. Could you describe some of the work or initiatives brought by that Committee in early 1990’s? Actually during those years of the conflict, I was also Chairman of the Australian Parliament’s Joint Standing Committee on Migration. That Committee, together with the Labor Party’s own Committee on Immigration (which I also headed), brought in several key initiatives. One of these was to implement a special humanitarian program for refugees coming from the conflict of the nations of former Yugoslavia. The majority of people who took advantage of this program were Croatians and Bosnians – although there were also some Serbian people escaping from the Milosevic regime. This was a very significant program because it created a precedent. It was part of my philosophy that there should be special programs of this kind to deal with emergencies and special circumstances when large numbers of refugees were created in a specific part of the world. There have been very few such programs in Australian migration history. Unfortunately in the last 20 years or so there have hardly been any – even though the refugee problems have dramatically increased. It was wonderful to see Croatian people arriving and telling us their stories: people who had been traumatised by the war, especially Croatian community members who had been living in Bosnia where the conflict became much more bloody and extended over a much longer period than did the battle for Croatian independence. I am pleased to say that those people who came under this program have participated well in the Australian community and made a significant contribution. You had been a Member of Australian Parliament for over 21 years to 2001. Having in mind the personal commitment to freedom and democracy that you demonstrated in the case for Croatia’s independence during 1990’s what do you believe that a country which has transitioned out of the communist regime as Croatia has, should in its political ideology, which in turn influences public administration and consumer rights, have achieved by the end of its first quarter of century in democracy and independence? The first and most important achievement in these first 25 years is the establishment in Croatia of the general idea of democracy, including the principles of human rights and the constitutional structures of democracy. Croatia has managed to achieve this in a reasonable way. Obviously there are difficulties at the moment because the current government is based primarily on a coalition of political parties. However this point should not be overstated; indeed this seems inevitable in the light of the European tradition to have a multitude of parties. However it is important that the situation not get out of control, so as to make the achievement of stable government too difficult. A second major achievement has been the entry of Croatia into the European union. It was a great feat that Croatia managed this in such a short period of time. However Croatia needs to be very careful not to enter into the EURO system – at least not until major reforms are made to that system. There are many major challenges facing Croatia in the future; I consider two of these to be major issues. Firstly, there is the need for the modernization of the economy – to introduce a higher level of technology, especially in the areas of industry, infrastructure and IT. Education needs to be upgraded with a focus on these technologies and the skills required to achieve these goals. Only in this way can the challenges of the 21st century be met. It is also important for Croatia to encourage investment in a whole series of industries, especially in manufacturing and in IT development. As I have already indicated, this requires the participation of the Croatian Diaspora to bring their knowledge and skills gained overseas for the service of the Croatian nation; they also need to assist in bringing more financial investment into Croatia. That the economy can pick up and modernize is already illustrated by the significant and substantial success of the Croatian tourist industry. Secondly, there is a need for reform of the public service in Croatia. From the era of the early days of the Yugoslavian regime, Croatian society unfortunately adopted some archaic practices in relation to the operations of the public service. There is thus a substantial need to overcome the excessive bureaucracy in the public service and this will require significant reforms. My comments here are intended to be positive suggestions in relation to achieving a bright future for Croatia. I believe that it is possible to build on the fundamental strength of the Croatian nation; this strength is reinforced because of the spirit and determination of the Croatian people themselves – who are aiming to make the new nation great. I believe that they will succeed. What was your opinion of Dr Franjo Tudjman as a statesman and leader when it comes to achieving independence from a totalitarian communist regime as Yugoslavia was? What were the moments you remember best spent in Dr Franjo Tudjman’s company? In all I had four meetings with President Tudjman – three in Croatia and one when he came to Australia for an official visit. I remember well that occasion, especially the enormous reception he received from thousands of Croatians in a huge stadium in Melbourne. I was also very honored by the reception the Croatian community gave to me on that occasion. “I indicated to President Tudjman our concern, and the concern of the very large number of people of Croatian background in Australia, as to what was happening. I explained that it was the Australian Government’s intention to try to see an amicable resolution of the crisis and, as soon as possible, an end to the fighting. He was aware of the initiative of our government in taking the matter to the United Nations and he thanked Australia for that – and in particular for the efforts of the Prime Minister and the Foreign Minister. Finally there was one event which has remained with me as a lasting memory. In the middle of this one hour discussion at th Presidential palace on that June day , the SIRENS began all over the city of Zagreb warning of a Yugoslav air strike. President Tudjman said to me that all his staff and myself would have to go down into the underground shelter below the Presidential building. I said, “Mr President, surely you are coming as well”. He said “ I am not going to allow this dictatorship in Belgrade to intimidate me. I am the President and I will stay in my presidential suite”. So we both stayed there and continued our discussions while the sires roared. This to me spoke volumes about the measure of the man. You visited Croatia during 1990’s, what were some of the impressions you took away with you after leaving it? I have already spoken of my impressions in 1991 during the struggle for independence. I also visited in December 1991 and in 1992. 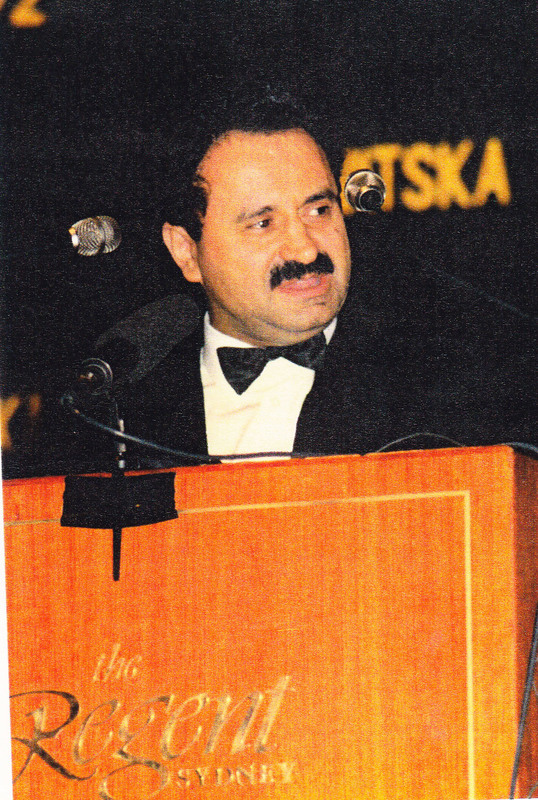 In 1996, President Tudjman presented me with a certificate for my work for the Croatian cause. I also visited Croatia in 1998. On that occasion, I was awarded Croatia’s medal of honour. In November 2000, I undertook an official visit. By this time, President Tudjman had died and Mr Stipe Mesic had been elected President of Croatia. There had been a significant political shift and Croatia had now changed through a democratic process to a government without the HDZ. The new government also showed great respect for my work. In a televised meeting at the presidential palace, President Mesic greeted me and personally thanked me for the work that I had done for Croatia and the Croatian people over the years, and he said that “the Croatian nation will never forget the contribution which you have made, nor will I”. You asked about my impressions of Croatia in those years. In the first years after independence, President Tudjman tried to reform Croatia towards a modern democracy. However he was much preoccupied with the continuing struggle in Bosnia, where the conflict became disastrous – with tens of thousands of people killed and hundreds of thousands displaced. It was important for the Croatian community in Bosnia to be protected. In the end the ‘peace’ that was achieved through the Dayton agreement was very fragile and the tensions in Bosnia continued until Dr Tudjman died and indeed continue to this day. It seems that, in the final years of the reign of President Tudjman, some developments took place involving certain people and policies, which led the Croatian people to vote for a change of government. There are several theories as to why this happened; my knowledge of these issues is limited. As I have indicated under question 7, even today there are serious challenges facing Croatia. However I am very confident that these can be overcome and Croatia can play a significant role in Europe and the world. 10. Significant economic power of the Australian-Croatian diaspora has been proven over and over again through humanitarian aid and purchase of premises across Australia for the establishment of diplomatic/consular missions, not to speak of individual investors of which there have been several. Are there some special tricks do you think that Croatia could pick up on in rejuvenating the strength of its relationship with its diaspora – a relationship that has grown somewhat stale? I think that it is rather sad that, in view of the fact that the Croatian people in the United States, Canada and Australia made such a contribution to achievement of independence and the creation of the modern nation of Croatia, that the diaspora Croatians have not in recent times been given sufficient roles within the government, the public service, the universities and other structures of the Croatian nation. It should be noted that those countries in Eastern Europe who have given a significant role to their Diasporas have actually strengthened themselves economically, intellectually and at artistic and cultural levels. What is important in this process is that both sides must respect each other. Diaspora Croatians returning to their original country should respect the sensitivities of the population at home and understand the problems which they face. The Diaspora people must try to ensure that new approaches that they are bringing are explained and are demonstrated as being positive and substantial through real evidence. On the other hand, the people and government within Croatia should acknowledge that often the Diaspora Croatians can bring high levels of skills and knowledge in economics, politics, social development, infrastructure, IT and the Internet. These skills should be accepted as potentially making a substantial contribution to nation; these people generally have enormous goodwill and love for Croatia. The Croatian government can do more to encourage cooperation and dialogue between the Croatian Diaspora (especially Australian Croatians) and the people in the home country. In this way, Croatians around the world can help the nation overcome its current problems and look forward to a much brighter future. Is there anything you would like to add with regards to your work for Croatian independence, or perhaps a message for people of Croatian descent living abroad? I have already spoken above about the struggle for Croatian independence and I have also made some suggestions, which I believe can assist in the further development of Croatia. My message to people of Croatian descent living abroad (especially in Australia) is: firstly try to do whatever you can within the context of multicultural Australia to continue to support and develop the Croatian culture here. In so doing, it is important to teach the children about the great heritage and culture of Croatia – which goes back a thousand years. Croatia has remarkable a remarkable history over all those years; there are many wonderful archaeological sites and many stories that can be told about Croatia. This lovely country has developed its distinctive music, its art and literature and its great leaders with their amazing achievements. In my view, Croatian Australians should take advantage of the many forums that are available within multicultural Australia to promote their distinctive culture and heritage. The cultural diversity of Australia already encompasses Croatian culture; but this must be further acted upon. Secondly, Croatian Australians can play a bigger role in promoting links between Australia and Croatia. Furthermore, as I have already indicated in my previous answer, the Diaspora can play a very significant role in supporting Croatia by taking their skills and their knowledge back to the original homeland; not only can they contribute their skills, they can also transfer their capital and build new enterprises there. DR ANDREW THEOPHANOUS SHOULD HAVE A TRG NAMED AFTER HIM IN ZAGREB,INSTEAD OF THE DEVIL SERB JOVAN BROZ TITO666!! Thankyou for this wonderful and insightful interview. A very big thankyou to Dr Andrew Theophanous and Prime Minister Keating for all their efforts in very difficult circumstances and especially Australia’s recognition of Croatia’s independence. I enjoyed Dr Theophanous’ comments about his meeting with Dr Tudjman and it just reinforces what a great leader and visionary Dr Tudjman was. Thanks for sharing Ina. I remember him even speaking at some of the demonstrations and it was funny how early on my oldies and Baka/Dida were suspicious why this non Hrvat was being such an avid campaigner and supporter of us. Great read! Wonderful interview! thank you for sharing, Ina. Thank you to Andrew Theophanous. I think there should be a special mention or recognition of every non-Croat who has over the years fought for the betterment of Croatia in their own way. 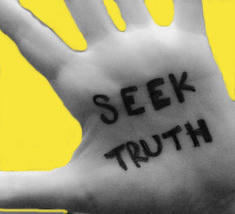 It has often been a hard task to undertake, but they did it anyway, for justice and truth. Thank you. Translation of comment by Klokan: Happy Statehood Day and thank you very much for your articles, which I follow with all my heart and use often. God protect Croatia our dear home. Happy Statehood Day! Great Interview, Ina! Ina,what an honor to be included in such illustrious company. I am so impressed and happy you shared this occasion. The lovely certificate for the speaker was very beautiful and meaningful. Thank you for visiting my humble posts, today’s flower was in memory of a shooting at a school in June a few years back at Columbine. The flower was in my friend’s garden. You are so kind, Robin. As to columbine shootings I do still often think of those events with grave sadness, remember from news and not being able to get up from my chair for a while from shock and sadness. Good on you Ina Vukić. This is an excellent recapitulation of Australia’s contribution to intercontinental recognition of Croatia. The Prime Minister at the time was Paul Keating – an Australian of Irish Catholic background. However, Dr Andrew Theophanous who chaired the Parliamentary Group for Recognition of Slovenia and Croatia was an Australian of Greek Orthodox origin. That’s only possible in a truly multicultural country that Australia certainly is. I am putting emphasis on this fact in order to point out that many European countries, including Croatia, even today confuse multiculturalism with multinationalism. Unfortunately, multinationalism is, and will continue to be, the cause of problems and conflicts in Croatia. On the other hand multiculturalism guarantees interaction and integration into a single, homogeneous, and culturally superior nation. CROATIA merita felicitari pentru prestatia la UEFA Euro 2016 ceea ce NU pot SPUNE si despre ROMANIA ………. CROATIA deserve congratulations for performance at UEFA Euro 2016 and that cannot be said about ROMANIA …Have a great week, Your Ladyship 🙂 Respectfully,Aliosa.